The Heights of Cityview apartment homes suit everyone from a young single person wanting a small one-bedroom unit, to a family of four who needs a large three-bedroom home. 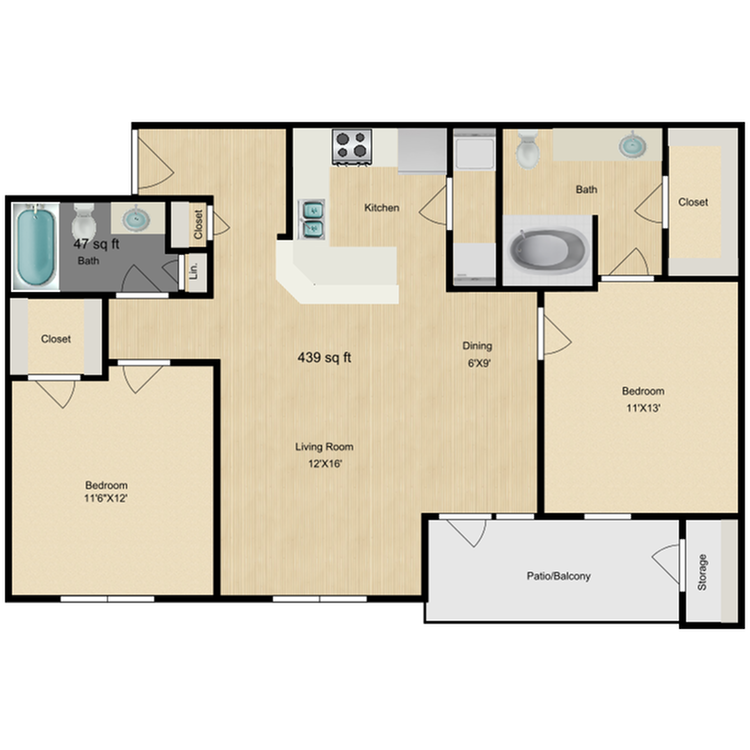 All floor plans include a patio/balcony with outdoor storage space. Some apartments have additional amenities, such as woodwood-burningeplaces and ceramic tile foyers. 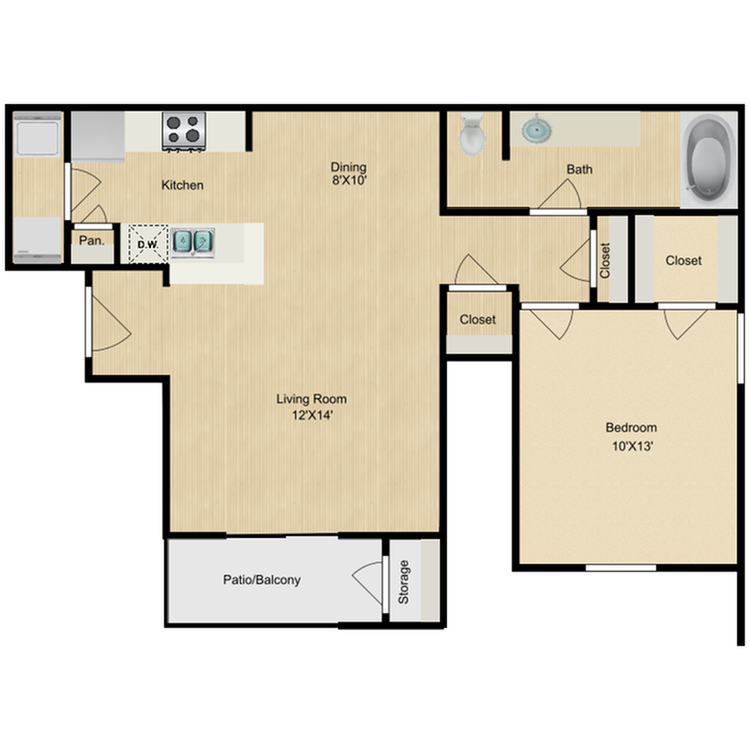 All one-bedroom apartments are open-concept layouts. Each has one bathroom, dining and living areas, and storage space galore, despite a smaller size. Keep your dry goods in the pantry; extra towels and sheets can live in the linen closet, found in most units; put coats and jackets in the entryway closet. Outdoor storage can be used for sports gear or camping equipment. If you still need more storage space, one layout has a garage, as well. The apartments’ square footage ranges from 668 square feet up to 880 square feet. Select from a 10' x 13' bedroom, an 11' x 13' bedroom, and an 11' x 16' bedroom. 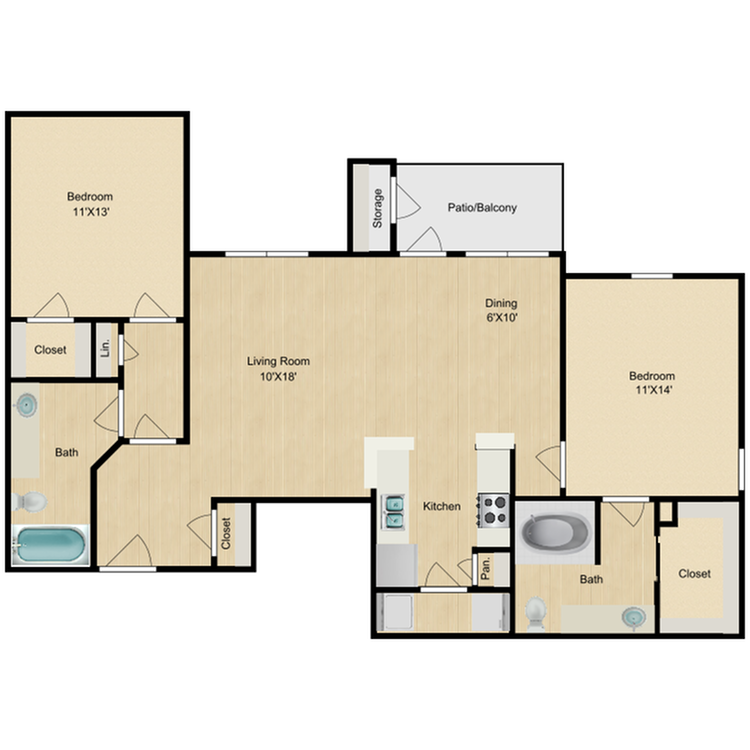 For those who love to entertain, the largest one-bedroom floor plan boasts an 11' x 6' dining area with a bay window. 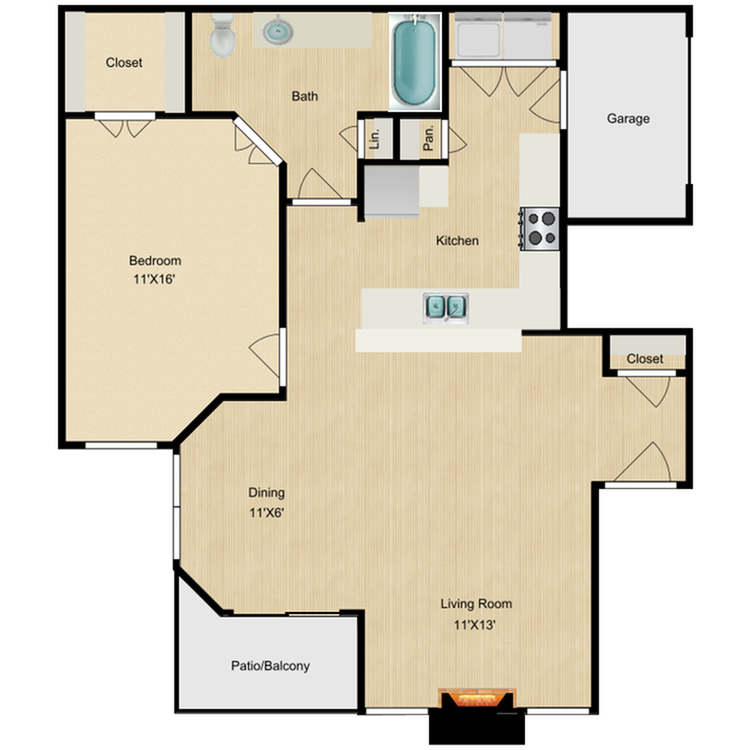 The two-bedrooms are perfect for roommates or small families. All these apartments have split floor plans with the bedrooms and bathrooms on opposite sides of the living area. You can choose from 1,045 square feet, 1,147 square feet, and 1,250 square feet. 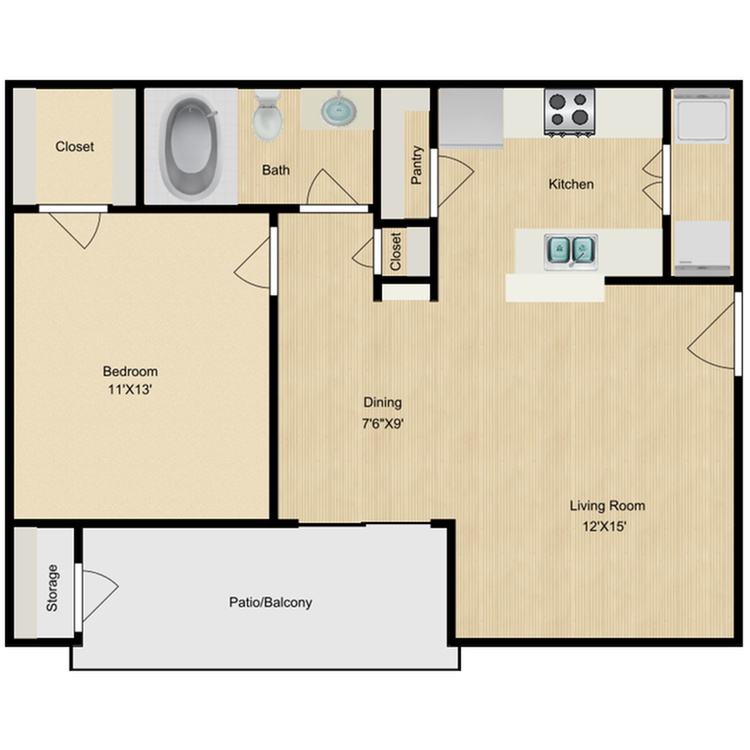 With its similarly sized bedrooms, the smallest two-bedroom unit would make an ideal apartment for roommates. There will be no fighting over who gets the larger room! Families may want to opt for the largest floor plan. Both bedrooms are oversized, with one measuring 11' x 16'—big enough for two children to share. The master is 13' x 14', with dual bathroom vanities, meaning couples can get ready at the same time in the morning or for bed. If you have a larger family, the 1,392-square feet, three-bedroom apartment may be the one for you. Its master bedroom has an en-suite bathroom. 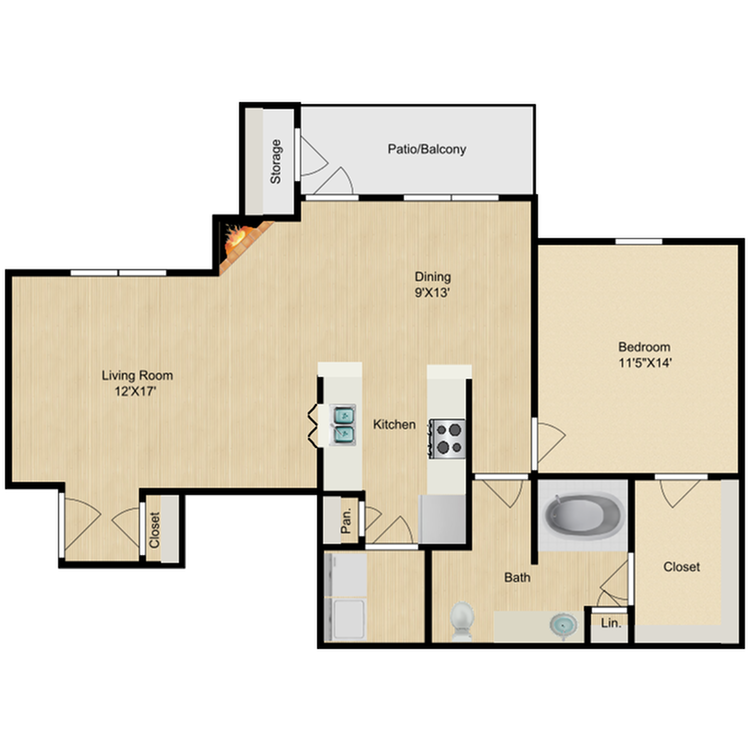 Situated across the apartment, the other two bedrooms are the same size (12' x 14'). They both have easy access to a shared bathroom, which is split into two segments. The combination tub and shower is separate from the vanity and toilet, making it possible for two people to use the bathroom at once. 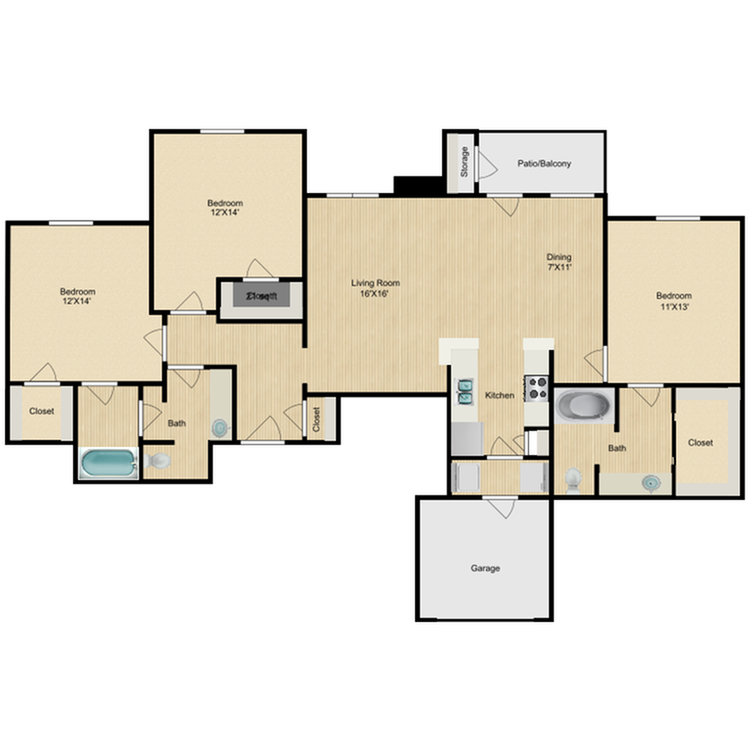 The floor plan also comes with an attached garage that leads into the laundry room and the kitchen, so you can unload groceries with ease. If you want to see whether all your furniture will fit into any of the floor plans, try out our Virtual Move-In application. 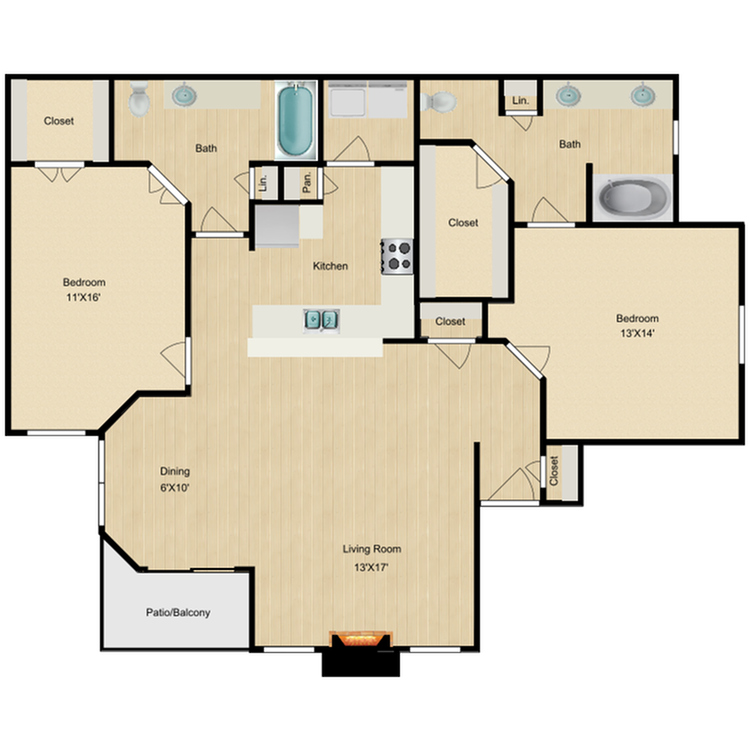 Just click on the floor plan of your interest, and then on the Virtual Move-In link. You can place everything from a king-size bed to a dining set, and even a plant, in the various rooms. To set an appointment, call us at (817) 987-6211.